In the Northwest Argentine province of Salta lies the hidden Estancias: La Bodega and the adjoining, El Tipal. These properties encompass the 10,500 foot Mt. Creston and border six miles of the Juramento River, the River of the Oath. 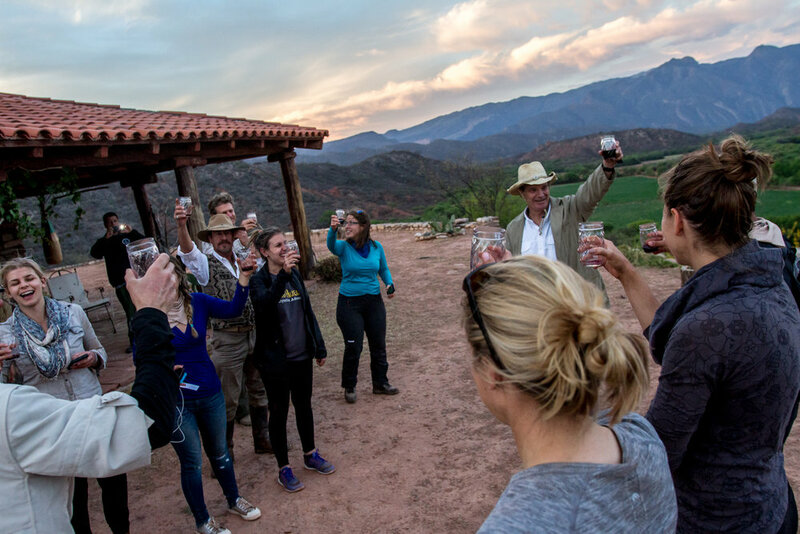 Together they make up our long-term conservation stewardship of the 70,000 acres known as La Valle de Condor or Condor Valley. 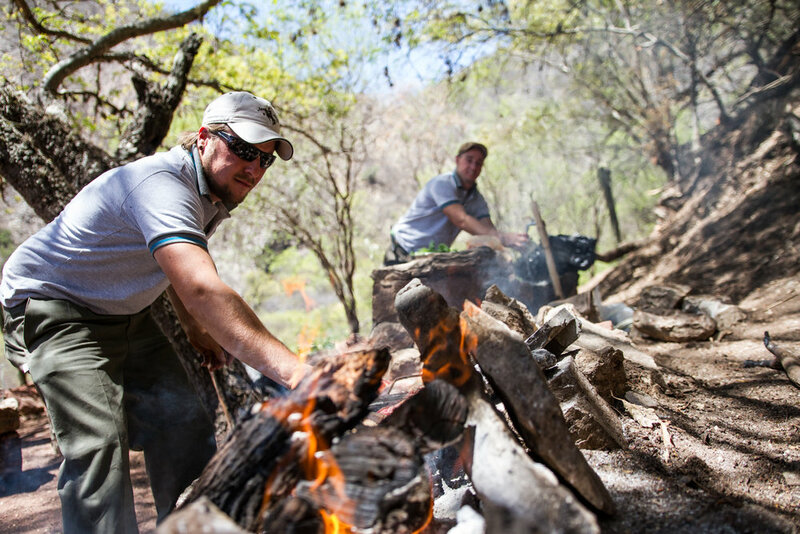 Imagine sitting around a campfire beneath the stars, savoring a glass of wine from a nearby vineyard while a traditional Argentinian asado sizzles on the grill, relaxing after a day of horsebacking through the high Andes mountainsides, rivers and waterfalls alongside a modern-day Gaucho legend, swapping tales about the condors and wild cats that were sighted only hours earlier. This unique experience immerses you into the wilderness, landscape, and sacred culture of the conservatory alongside wildlife experts, scientists, and other guest guides. Exceptional wildlife viewing including condors, toucans, parrots, armadillo, anteaters, wild cats, guanacos, the magical taruca, and our donkey Raúl. Rustic lodging in a 150-year-old colonial style villa. Delicious, fresh, traditional meals, including experiencing local cuisine and wine from our vineyards. All meals and snacks included while at Condor Valley. Horseback riding on Condor Valley. Hiking, white-water rafting and zip-lining. Traditional Argentine Asado under the stars. All transportation throughout the Salta Province. A cultural immersion with the Pekarek Family. Some come solo and some bring family. By the end of the trip, everyone's family. Indicate party size during checkout. 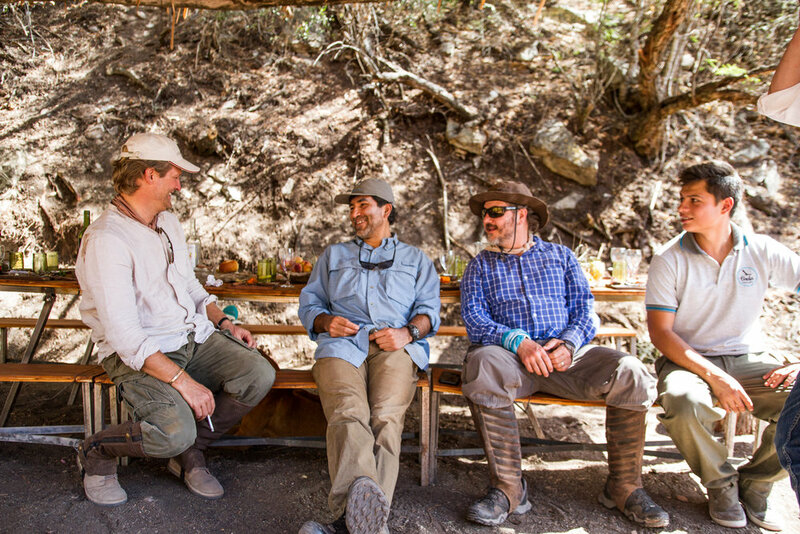 "Our goal is to inspire a regenerative model of conservation to help create long term sustainability for Argentina's magnificent cultural and natural heritage." 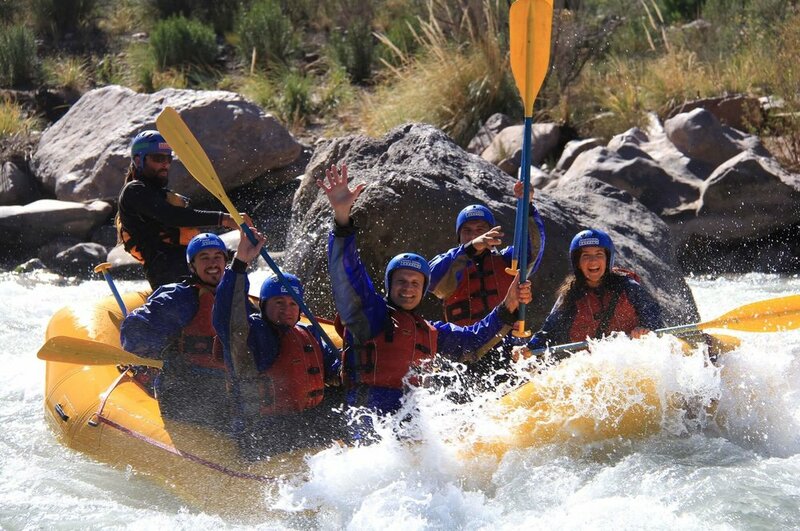 Condor Valley hosts 14 Adventure Tourism World Summit delegates. Join us and get to know our history, our native settlements, dwellings, colorful clothing and of course all our friendly inhabitants. 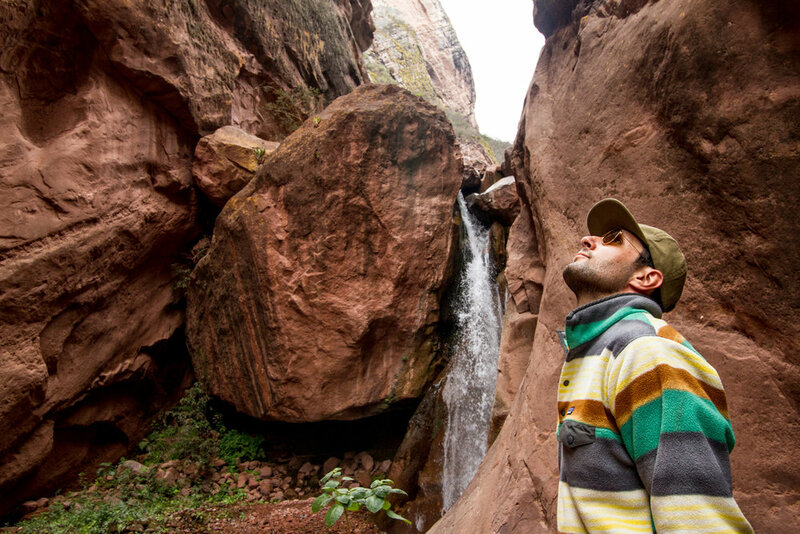 Guided by the Pekarek Family, we’ll take you on a tour of the Calchaqui Valley, passing through the otherworldly colorful rockscapes of the Quebrada de Cafayate, up to the famous weavers in the high Andean town of Sanclatas and back to the city of Salta. 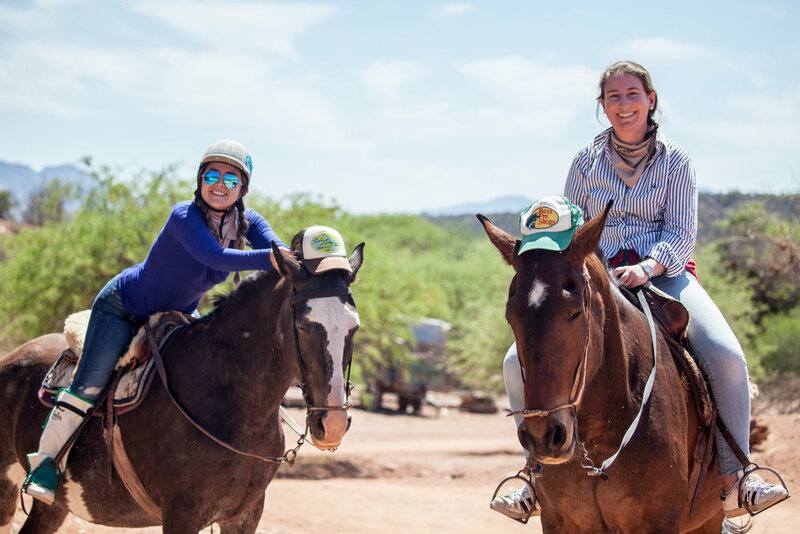 You’ll travail Condor Valley on horseback, allowing for a more intimate experience in learning about the environment of the Salta region and an opportunity to observe our Gaucho companions in action.